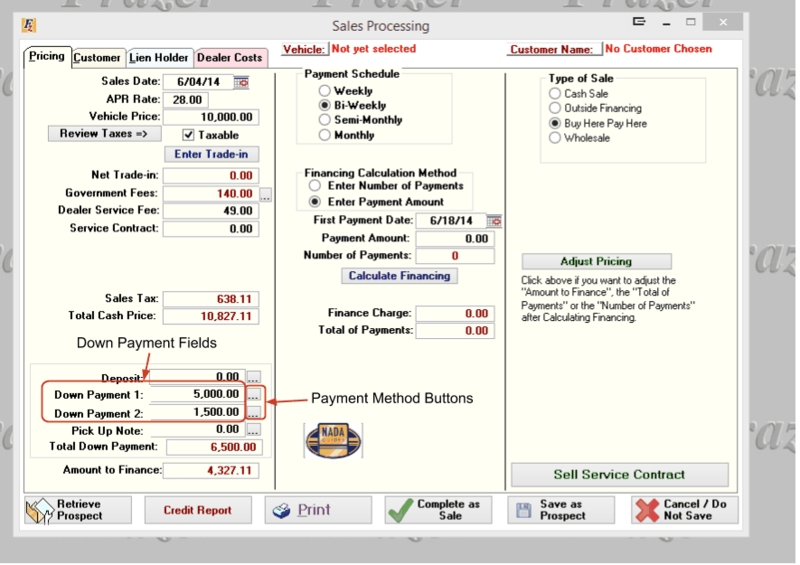 When entering an electronic down payment using the paypros system, first enter the amount of the down payment in the down payment field of the sales processing screen. Once this is entered click on the payment method button. 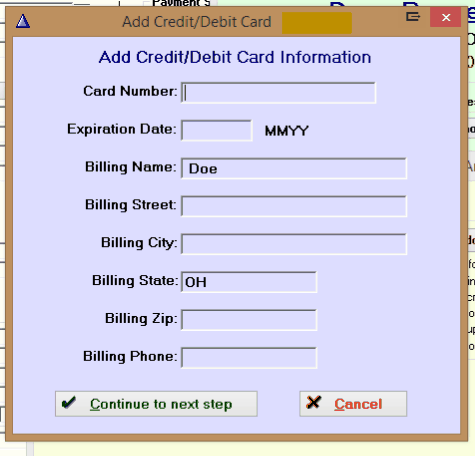 Select that this is an electronic payment and select whether this is a new payment source or one that you have seen before. On the drop down, you can choose whether this is a "New ACH", "New Credit Card" or New Debit Card". Click on the "Process Payment Now" . 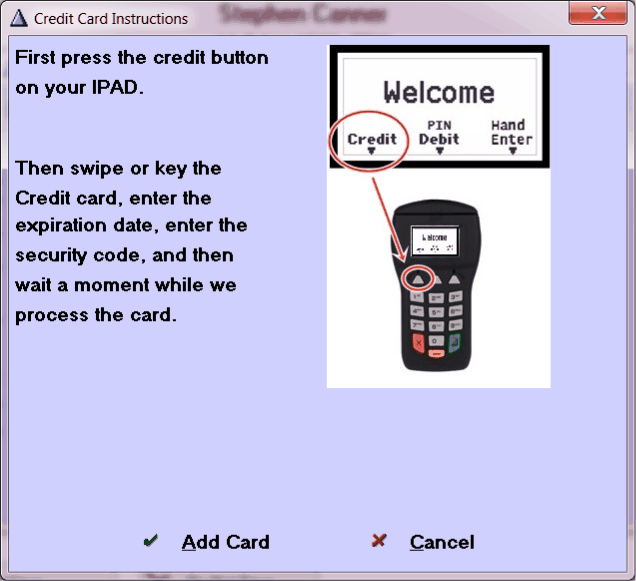 If it is a new payment method a screen will pop up that will ask for some customer information . 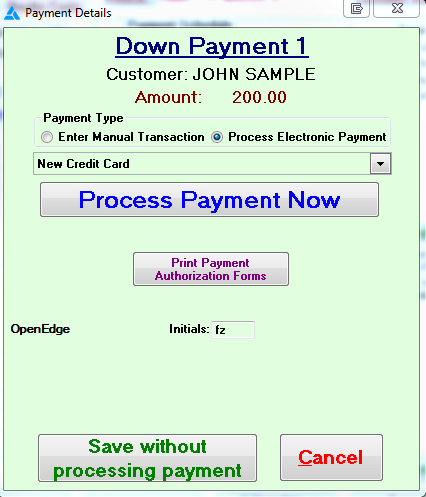 Once the information has been entered “Continue to next Step” will bring up a payment authorization screen. If the customer is present it will print the form for the customer to sign if not more information will need to be entered. Once the authorization has been printed follow the instructions on the screen for the processing of the payment. After the payment has been processed through the card scanner, you can click on Process payment again to finalize the payment.